Sage Peak Outfitters are honest, reputable Elk Hunting Outfitters in Montana who specialize in successful, memorable, fair chase Montana Elk Hunts, Guided Mule Deer Hunts, and Antelope in Montana hunts for those with a passion for Big Game Hunting Animals. We offer Private Land Elk Hunting and Wilderness Hunting. We are passionate about Elk Bowhunting, and each Montana Hunting Guide we provide are the most dependable in the business. It is ideally situated in some of the best Elk Habitat in Montana, it provides Outdoorsmen with a memorable MT Hunt and the authentic feeling of how life was experienced over a century ago for mountain men and women in the old west. This area includes resident herds and is a major Elk Migration route from Yellowstone National Park. Weekly bookings are limited to small, personal groups of no more than 5 elk hunters per week. To ensure personal attention to each hunter, we provide a guide for each hunting client. 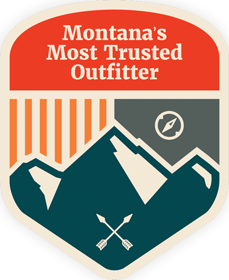 That’s your own personal Montana Hunting Guide furnished by trustworthy Backcountry Outfitters! As Sage Peak Elk Hunting Outfitters in Montana grows to incorporate prime Private Land Elk Hunting into its Guided Elk Hunting services, we proudly offer Trophy Whitetail Hunts, a Trophy Mule Deer Hunt Montana, Trophy Elk hunts, and Montana Antelope Hunting. This is a premier Hunting Land Lease exclusive to only a few select hunters per year! We are dedicated to offering the personal, quality hunting service to which our hunting clients have grown accustomed over the years.